We provide you with a professional set-up, design and support of your CMS platform to asure that your Internet presentation will work smoothly and updating is a peace of cake for you. We offer all necessary services and support you need for your successful web presentaion, so that you may manage the creation and modification of the content yourself without hindrances. 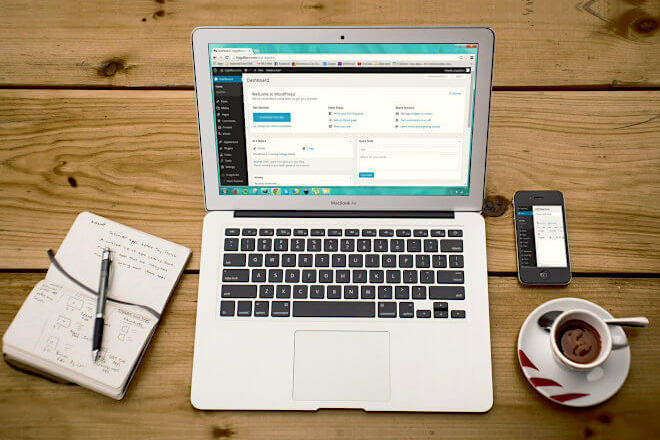 For your self-maintaining Blog we provide installation, configuration and maintenance of Content Managemt System platform which is also easy to handle. We prepare the site with the functionality needed and even make the design and if you wish also the setup of your pages, so that your updates will go easier. For blogs and smaller websites we recommand the popular CMS Open Source software Wordpress. We also take care of an appropriate hosting. If you have our CMS website, shall it be a Blog, Webshop or just a "normal" website, we help you to understand functionality of its administration area as far as you would like to go. Level 1: Getting new pictures on the page, changing the content are the simple basics everyone can learn. Level 2: Adding new pages, changing the menu is only a little step further. Level 3: At last but not least configuring and maintaining the platform by yourself. And please remember, we are always there to support you.